Well, maybe you do. Maybe you don’t. I don’t judge you for that. But I have always believed that our brain trains our thoughts based on what we feed it. You feed it challenging and thought provoking stuff, and it will always reward you with critical thinking capacity which grows sharper by the day. And if you feed it with enough nonsensical stuff, day in and day out, an equally ineffectual output is what you can expect to gain. It all comes down to investment. Investment of time, on yourself. How do you make best use of the time that is made available to consume content that adds value to your thoughts and strengthens your vision of what you want to be in future? 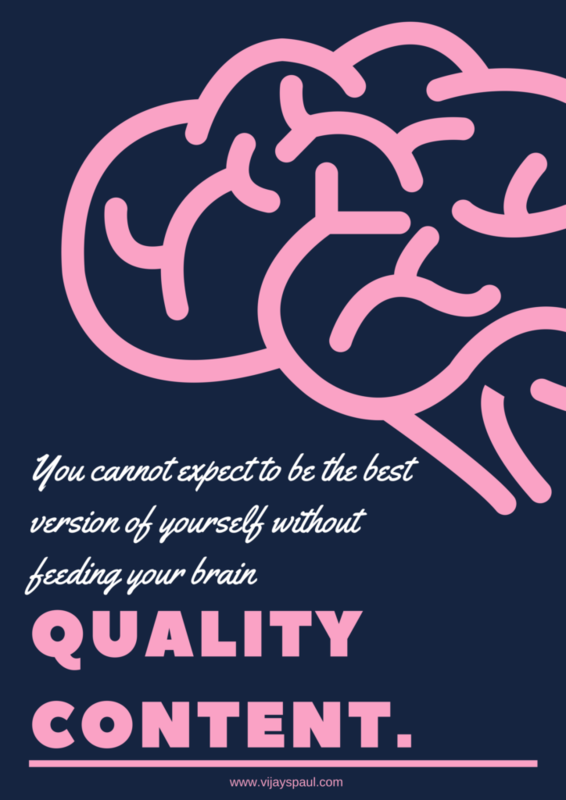 The same way you cannot expect to bake a chocolate cake with rotten banana peels and egg shells as ingredients, you cannot expect to be the best version of yourself without feeding your brain quality content. 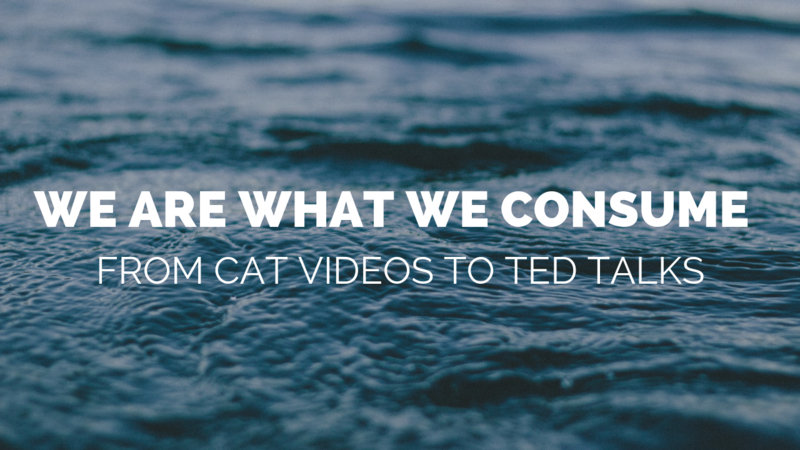 You cannot expect yourself to ogle over cat videos the whole day and then expect yourself go out there and change the world the next day. Probably the only thing you do change is the number of views on some random YouTube video. 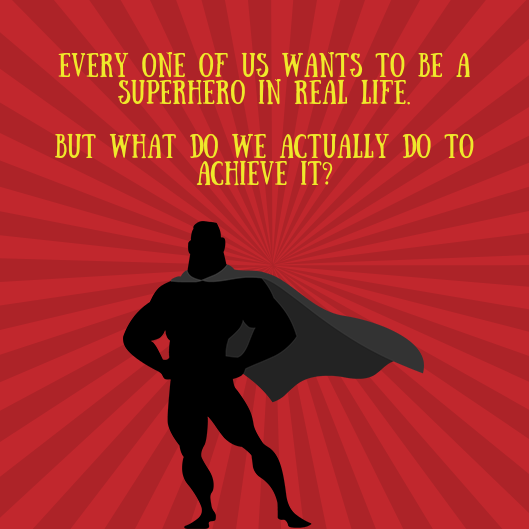 Every one of us wants to be a superhero in real life. Everyone dreams of fame and glory. Everyone dreams of being looked upon by others as an inspiration. But what do you actually do to achieve it? How in heavens name can you expect quality output from yourself without feeding it with any sort of intellectually stimulating input? So think about it. Think about what it is you want to be. Think about how you want to define yourself. And then start consuming content that aligns your thoughts in that direction. Unfollow irrelevant people in your LinkedIn connections and follow Influencers who’s content aligns with your interests. Also, join active groups for discussions. Join Goodreads for suggestions on books. Join Subreddits on Reddit to follow topics of interest. It’s a good place to discover new content. Subscribe to blogs of people/organization whose content helps you challenge your thoughts and intellectually pushes you forward. And slowly you’ll realize that it becomes a habit. You start distancing yourself from all the noise that is out there. And then you can see the change. Then you start realizing the added value to self; the value of your own thoughts. And that makes all the difference between wanting to be a superhero to actually start the process of being one. Next Next post: Do you know your price? 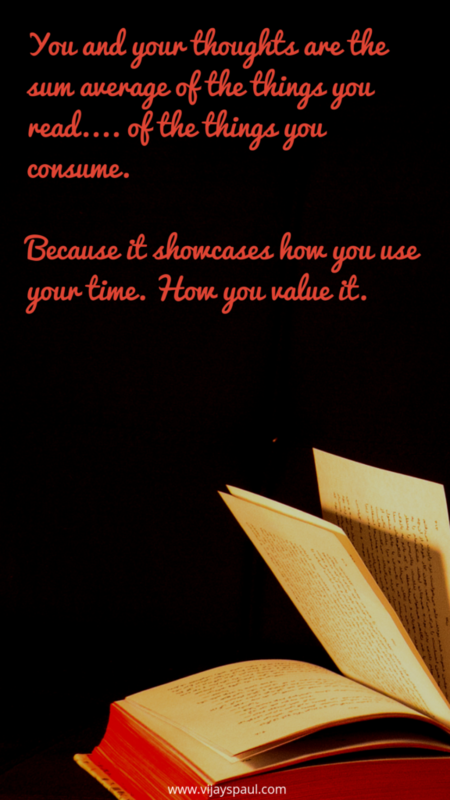 Your value?